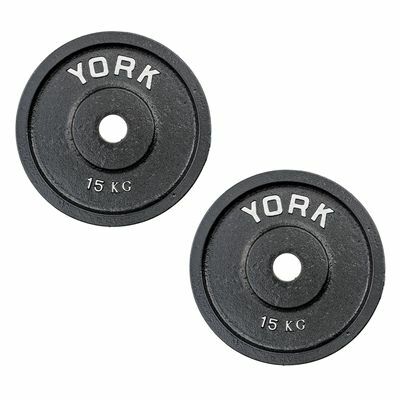 The York 2 x 15kg Olympic cast iron plates are crafted to be compatible with Olympic bars and covered with a very tough grey Hammertone finish for an excellent durability. These accurately cast iron plates weigh 15kg (33lbs) each and feature an embossed York logo and a weight mark. They are made to the highest standards to provide safe and challenging weightlifting workouts in home or commercial gyms. for submitting product review about York 2 x 15kg Olympic Cast Iron Plates.